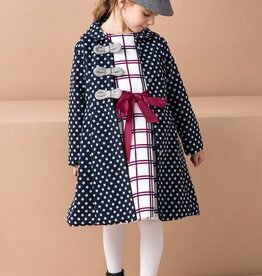 Joe-Ella girls formal coat navy polka. 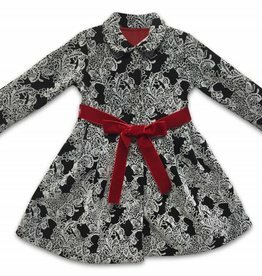 Jo-Ella formal girls coat in black & white danmask with red ribbon belt. Perfect holiday coat.